Dressing princesses are nothing new for Domenico Dolce & Stefano Gabbana. 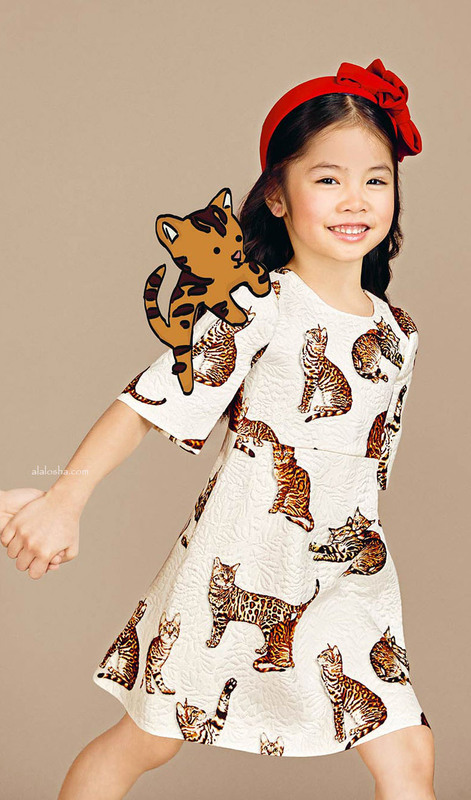 This Fall-Winter 2016 the designers will stick to their signature shapes - A-line shift dresses with featuring an amazing embroidered fairy-tale moments - and rendered them Walt Disney-worthy! 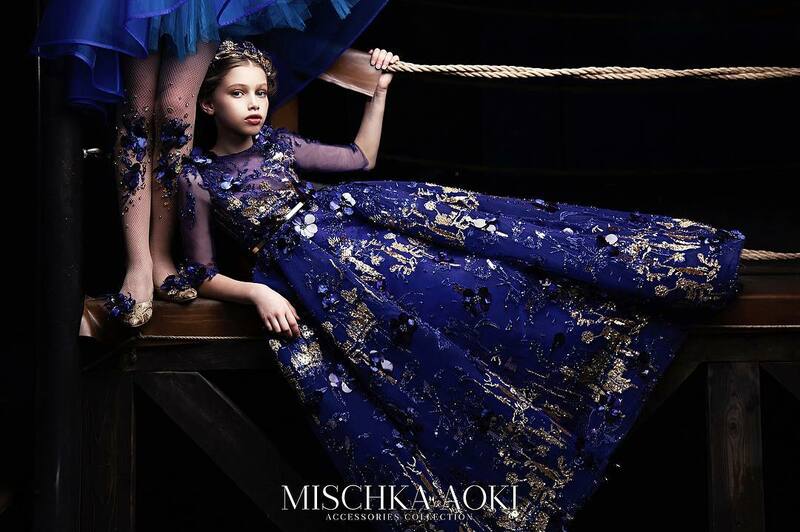 The new collection, as said designers, was inspired by "the new generation of princesses who are not only independent but possess a keen perspective and point of view." 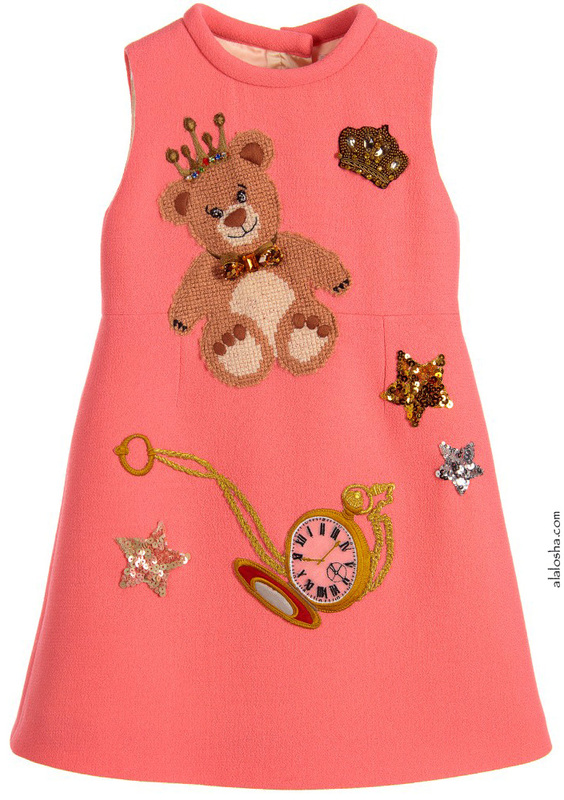 Girls coral pink shift dress from Dolce & Gabbana. 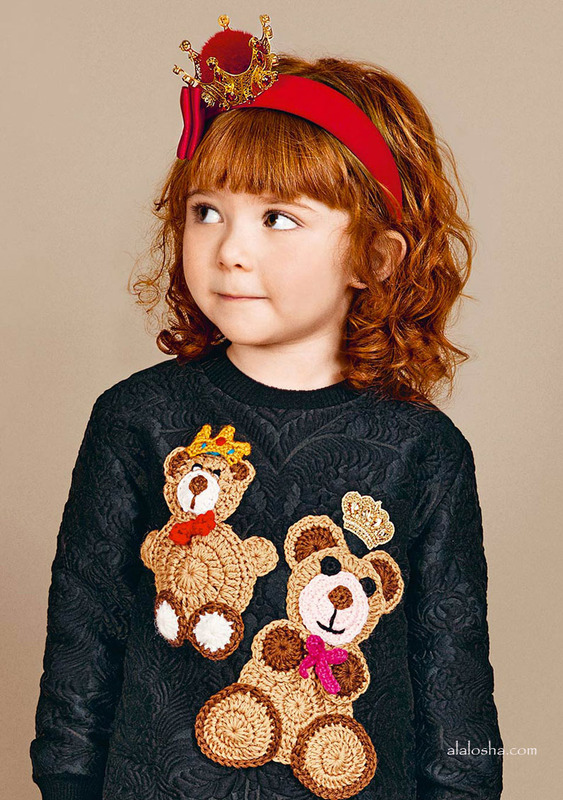 Made in fine wool crêpe, this Fairy tale themed shift design has an A-line shape and is beautifully embroidered with a teddy bear, a jewelled crown, sequin stars and a pocket watch. The neckline is rolled and there is a concealed back zip fastener, with a silky lining. Girls sleeveless black dress by Dolce & Gabbana with a concealed zip fastener at the back. 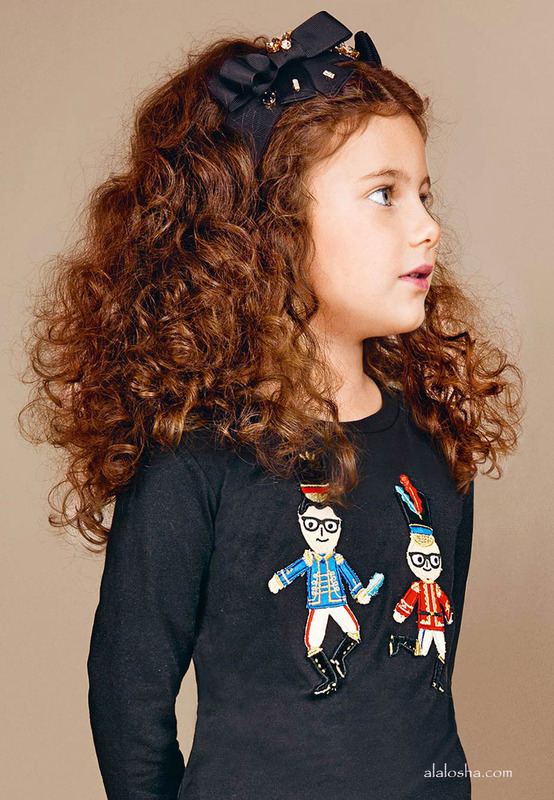 Made in a cotton and silk blend jacquard with a silky smooth lining, this charming 'Fairytale' themed dress features colourful and delightful knitted teddy bear appliqués on the front. 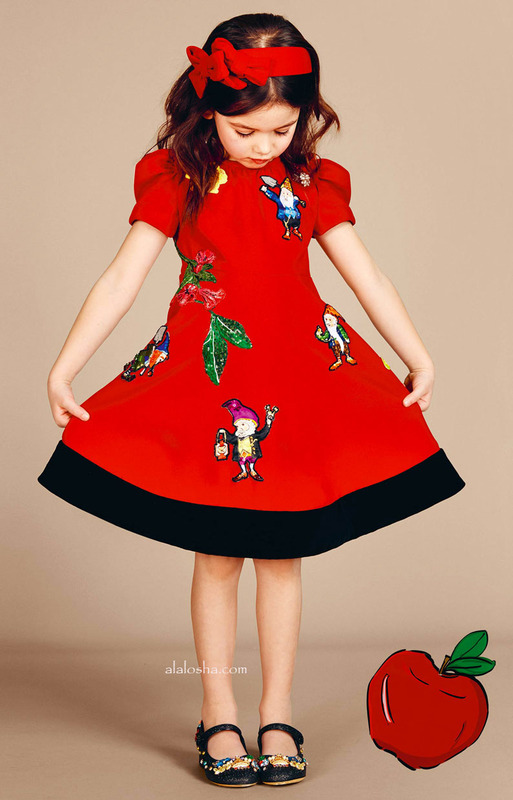 Girls short-sleeved red dress by Dolce & Gabbana. Made in lightly textured, viscose crepe with a silky smooth lining. It has a concealed zip fastener at the back with puffy sleeves and pretty ruching at the shoulders. The skirt is full and flared and trimmed in soft black velvet. This gorgeous 'Fairytale' themed dress has reference to Snow White and features delightful dwarf appliqués on the front, together with beautiful floral embroidery, sparkly jewels and shiny sequins. 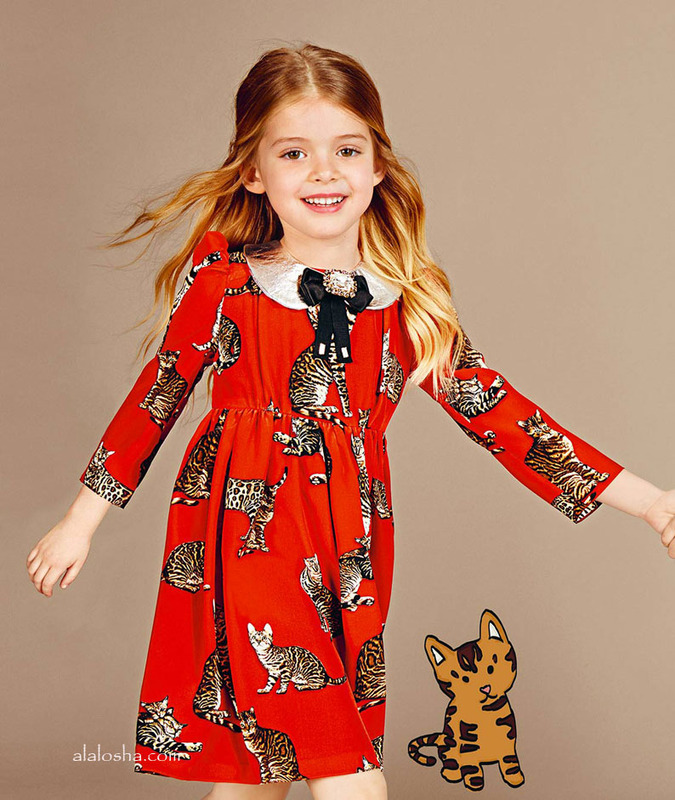 Girls smart red dress by Dolce & Gabbana, featuring a fabulous print of the designer's Bengal cat, known as 'Zambia'. 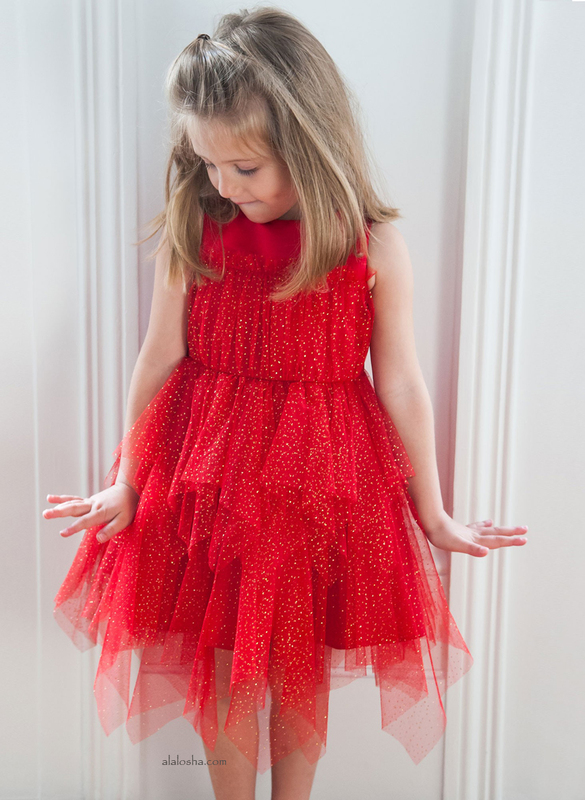 Made in luxurious silk, it has puffed sleeves, little gathers from the shoulders and a full, gathered skirt. Fully lined in silky polyester with a lace trim, it has a concealed zip fastener at the back.